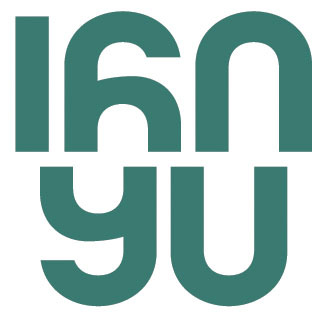 As a full-service branding and creative services firm, 160over90 has broad and deep experience generating results for consumer brands, including Nike Tennis, American Eagle Outfitters, De’Longhi, Ferrari North America, the NFL (Miami Dolphins, Philadelphia Eagles and New York Jets), Atlantic 10 Conference and the United States Tennis Association (USTA), as well as institutions of higher education such as UCLA, University of Notre Dame, University of Dayton, University of Florida, and Duke University. Our services span from the development of single creative pieces such as print collateral, packaging and website redesign to institution-wide image and re-branding campaigns. Through these experiences, we have acquired an in-depth knowledge of creating strategic messaging and integrated communications. We have merged traditional and non-traditional methods to create transformational marketing that yield conclusive results. And while communication channels will vary, our process ensures that the creative is always compelling and the message is always grounded in strategy and fundamental truth. Simple. Powerful. Affordable. Act-On is the leading provider of cloud-based integrated marketing automation software for small and mid-size businesses, helping 2700+ companies to tie inbound, outbound, and nurturing programs together – across email, web, mobile, and social.Marketers can manage all of their online marketing efforts from a single dashboard that can be seamlessly integrated with CRM so that sales can have access into various marketing functions.Act-On's fresh approach to marketing automation and intuitive design gives its users full functionality without the complexity other systems impose, and makes campaign creation and program execution easier and faster. Act-On also offers a best-in-class professional services team, around the clock customer support, and the APEX ecosystem of partners to provide clients with the tools they need to achieve marketing success. Allegro Business Intelligence provides business intelligence and advanced analytics software and consulting services that enable sports and entertainment organizations to build greater revenues through more targeted fan engagement and deeper insights into ticketing sales performance and strategies. Our clients include NFL and NHL sports teams among others. Our solutions can be self-hosted on premise or offered on either a subscription basis. Our business intelligence dashboard and reporting solution unifies all of the data systems (Ticketing, CRM, Accounting as well as budgets and plans) to provide a single source of the truth for performance measurement and enable business users to engage in self-service data discovery. Additionally, we offer software that provides advanced predictive and location based analytics that can be used for customer segmentation, customer scoring, marketing campaign development A/B testing and to optimize ticket prices. Understand fan preferences and behaviors. Retain and boost revenue from season-ticket holders and new fans. Enhance the fan experience and nourish your high-value fans with more personalized and relevant communications and promotions. Determine the most dynamic pricing model for each market segment. Provide accurate measurements to prove ROI to your sponsors. Predict which sponsorship promotions will be successful. Increase your profitability by improving the accuracy of plans and budgets. Measure and maximize your overall performance by business segment. APC has full warehousing capabilities, an in-house artist and embroidery department. APC’s direct importing capabilities and preferred vendor status in the promotional products industry assures low pricing of your product; delivered on time, every time. APC can setup and maintain your company store with one of the strongest platforms in the industry. Associated Premium Corporation is a trusted supplier with a proven track record and therefore uniquely qualified to be your next provider of promotional products. Blakeway Worldwide Panoramas photographs and distributes the world’s largest collection of panoramic art prints. Our subjects include: NFL, NHL, college sports, NASCAR, golf, city skylines and places of interest – over 500 images. Panorama capabilities include day or night photography, in-stadium and aerial panoramas. We use the best equipment and latest technology to create the highest quality panoramas available. Panoramas are all we do. Our focus is quality and customer service. Blakeway also facilitates fund-raising opportunities for teams and Athletic Departments using our panorama and e-commerce capabilities. Retail price: $30. Print dimensions: 13.5” x 40”. To view our entire collection, visit our website at www.panoramas.com. Contact us at 800-334-7266 or info@panoramas.com. As a Manhattan-based advertising agency, we work in the most competitive environment on Earth. That competitive spirit compelled us to focus on athletic, sports and CPG brands - the people and products that strive to be the best, just like we do. This year, BOLD helped introduce new technology that enables companies to send Custom Video Email Marketing Campaigns using a unique, first-of-its-kind data-rendering system. The results have been huge, averaging click-through rates 600% above industry standards. To see the technology firsthand, and our other innovative sports campaigns, stop by Booth 163 at the NSF Trade Show or visit boldworldwide.com. Brightbox is a NYC based end-to-end technology and consumer services company that provides secure, fully connected mobile device charging stations for venues of all types – hospitality, entertainment, healthcare, retail, education and transport. We provide a best-in-class, safe, intelligent, brandable solution that supports your business by helping them attract, engage, satisfy and retain customers. We are in the business of keeping on the go people powered up and connected – and they love us for it. With CallFire, colleges, universities, and professional franchises acquire a variety of services that enhance their current marketing and communications efforts. Best of all, we require no long-term contracts and our services are available for pennies per message. Try it today! ClickDimensions Email Marketing and Marketing Automation for Microsoft Dynamics CRM empowers marketers to generate and qualify high quality leads while providing sales the ability to prioritize the best leads and opportunities. Providing Email Marketing, Web Tracking, Lead Scoring, Social Discovery, Form Capture, Surveys, Landing Pages, Nurture Marketing, Subscription Management, Campaign Tracking and more, ClickDimensions allows organizations to discover who is interested in their products, quantify their level of interest and take the appropriate actions. For more information visit www.clickdimensions.com. From document and form origination, to lifecycle processing and records management, CPS has the "complete" stable of product suites to satisfy any and all of your paperless office needs. We are committed to providing the best customer service! To this end, we offer comprehensive services that are based on our years of experience in providing guidance and oversight to bring pioneering business process improvements to fruition for any size company. Complete Paperless Solutions... The only solution! Since Creative Dimensions was founded in 1987, we have grown into a 73,000 square foot facility with 40 dedicated employees who work in our design, graphics, project management & production departments producing signage, exhibits and Emmy Award winning broadcast environments. Over the last few years, we have produced studios Madison Square Garden, ESPN, YES, and many professional and collegiate sports teams and programs. As in the beginning, our main goal remains customer satisfaction. The Versa Broadcast Desk was developed 5 years ago as tool-less, lightweight remote desk. Featured as a 4 man desk, Versa can quickly size down to accommodate 3 and 2 people. The beauty comes in realizing that this can be accomplished without the use of any tools. The Versa Desk also has a rugged design enabling it to be used in many conditions, and is conveniently stored in specialized cases that house each modular section. The full set of cases weighs around two hundred pounds which makes shipping and handling efficient. Custom Pin & Design, founded in 1980, is one of America’s premier suppliers of lapel pins and other novelty items. We specialize in producing high quality promotional pins for use by major sports teams (license not required): in-stadium giveaways, season ticket holders, etc. We are a small personalized company on purpose and offer the lowest pricing, highest quality, and best service. We have had previous licenses with MLB, NBA, U.S. Constitution Bicentennial, Centennial of Flight (NASA), several collegiate and universities, and are currently a PGA Tour licensee. Our client list is extensive and well-known, and includes a special relationship with Arnold Palmer and the World Golf HOF. Please visit Custom Pin President John Stevenson at booth 150, see beautiful samples, and get a low quote on your next project. Fan in a Box recognizes: 1) Competition is fierce 2) Team loyalty is strong and 3) Fan experience is key. Our team is dedicated to keeping your fans in the stands by delivering an impressive season ticket presentation. By pairing custom packaging with unique promotional products and swag, Fan in a Box will assist you in incentivizing repeat attendance while building brand equity. Time to turn your fans into fanatics. We look forward to meeting you at Booth #129! Founded in 2005, FWI has quickly become the industry-leader for enterprise visual communications solutions. In addition to powering digital signage networks, users can drive their interactive kiosks, desktops, Web and mobile content from a single, flexible and powerful software platform. FWI’s customers use its software to communicate more effectively, solve wayfinding challenges, enhance safety, increase sales, improve experiences, and much more. With over 3,500 clients and 300+ team members worldwide, FWI has the resources and experience to make your visual communications project an overwhelming success. For more information, visit www.fourwindsinteractive.com. Full House Entertainment Database Marketing provides targeted sales leads, performs business email campaigns and executes full-service direct mail to help find new season ticket, group sales and premium seating customers. Since 1998, the company has helped over 700 sports and entertainment organizations with targeted direct marketing campaigns (direct mail, telemarketing, email), including 20+ teams in each of the 4 major leagues plus hundreds of minor league teams, soccer clubs, colleges, racetracks, golf tournaments, amusement parks, arenas/stadiums, and concert venues. Your set environment says a lot about your brand, your message and your product. For more than 28 years FX has been creating experiences that people simply never forget…through great designs that really work. We are set designers, scenic builders, motion graphics designers and lighting experts who understand it is about enhancing the connection between you and your broadcast audience. No matter if your programming is news, talk shows, sport or entertainment, FX/Giant Octopus gives you access to a complete complement of creative services all from one source. Additionally, FX is your best source for virtual design of sets large and small, whether tracking or trackless. FX puts the “real” in virtual Reality. Harlan Graphic Arts Services, Inc. has been servicing the graphic design community since 1980. We specialize in the following, wide-format digital printing to a variety of substrates, finishing and fulfillment services with customized web order capabilities and custom built graphic displays, which also include experienced and highly skilled graphic installers. Helios is an interactive, cutting-edge experience design studio based in the heart of San Francisco. We specialize in building engaging, interactive experiences for consumers in the events and retail channels. We use a variety of technologies to achieve our goals, including touch, gesture, augmented reality, and virtual reality. Our pursuit to create better brand interactions results in thoughtful design, effective social sharing, and meaningful data collection. This focus helps us meet our clients' goals, both now and in the future. 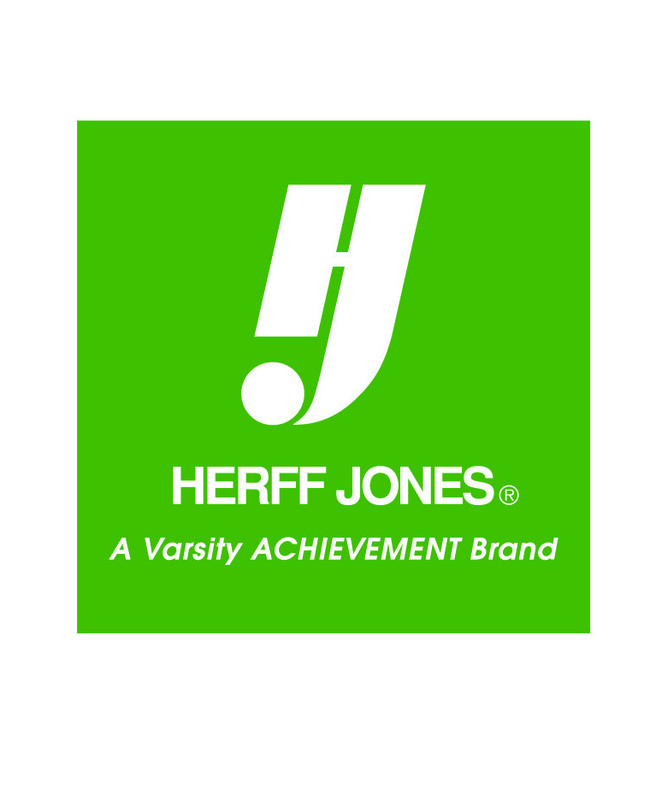 Herff Jones is a nationwide premier provider of professional and college championship rings, emblematic jewelry and professional awards. We have designed and manufactured championship rings for teams in every major sports league. Most recently, the San Antonio Spurs chose Herff Jones for the 5th consecutive time, to create the 2014 NBA Championship ring for the organization. Host Committee makes planning group events ridiculously easy. 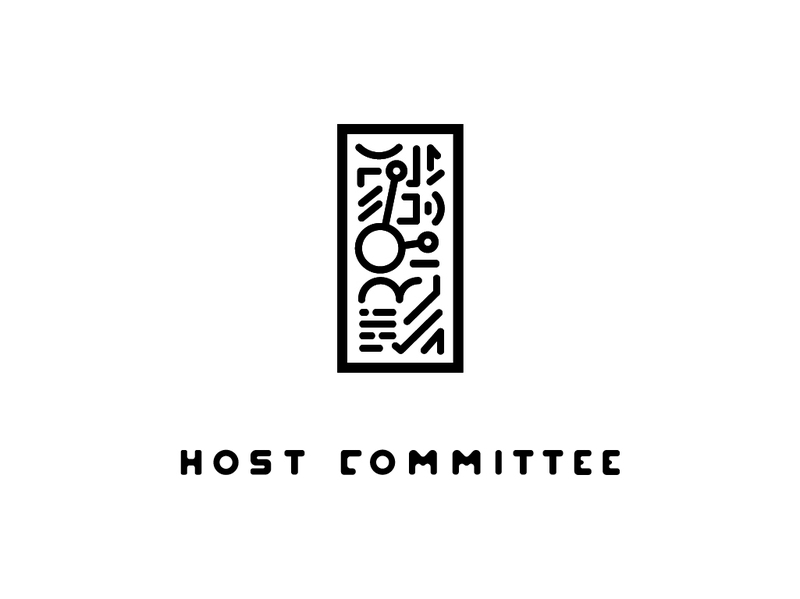 With Host Committee, it’s never just a group event. We create remarkable experiences in every arena from nightlife to sports to concerts and beyond. The bigger the group, the greater the rewards. Infographic World is an infographic and visual communications agency based in New York City. We work with companies like ESPN, Pepsi, Google, Intel, NBC Sports, ADIDAS, and other major industry forces, to help them communicate their message and data effectively with stronger visual impact. Sports is the perfect realm for the utilization of infographics given the amount of statistics that come into play regarding players, team finances, scouting, stadium revenue, records, and other important data. Infographics are also a proven effective approach to engaging with your fans and followers on your social media channels. Come chat with us at the 2015 National Sports Forum to discuss discounted show specials and how we can help you bring your data to life. You can see our work on our website at www.InfographicWorld.com. Indiana Ticket Company "ITC” has proudly created InGate Solutions, a new division specialized in creating customized solutions for the many diverse admission controls used in today’s ticketing venues. InGate Solutions will act as the new voice for both our existing product lines and the many new innovations we have in development which will allow us to broaden our scale across the many markets we currently operate. We look forward to the opportunity to tell you more about InGate Solutions and how we can meet the specific needs of your programs and facilities. IOMEDIA is a creative agency focused on the bigger picture - strategy, concept, and the execution of extraordinary digital visuals and brand-centric media experiences. Our team is comprised of visual and brand specialists, interactive strategists, designers, architects, animators, illustrators, writers and producers. We offer the unique ability to draw upon our various industry experts, leading to remarkable and unexpected results. Inventor of the original Pop-up Style canopy. KP Kanopy designs, manufactures and distributes durable-quality units. Our product line includes Scissor action canopies, Temporary-tension tents and Signage. KD offers cutting edge digital printing on all canopies, tents and signage. Design, manufacture and sell pre-tuned earpiece radios (target tuners) and scar radios. Provide outside broadcast facilities and studio trucks for the radio and event industry. Generate live broadcasts providing commentary and comment at sporting events throughout the world and we have an extensive network of engineering expertise. We have worked with some of the top spectator events in the world to deliver an enhanced fan experience. Our cutting-edge technology is designed to deliver exceptional sound quality that is convenient, affordable and dependable. Leadership. Strength. Innovation. Those are the key values behind the smart vision upon which LSI Industries Inc. was founded when established in 1976. Today LSI demonstrates this in our dedication to advancing technology throughout all aspects of our business. We are a vertically integrated manufacturer who combines integrated technology, design and manufacturing to produce the most efficient, high quality products in all of our facilities across the United States. LSI’s LED solid-state lighting solutions are designed with superior quality to dramatically improve visual clarity. Intelligently conceived with innovative patent-pending solid-state electronics and fixture design, Crossover® fixtures are leading the way in lighting through optimum performance, tremendous energy savings and environmental sustainability. We are committed to advancing solid-state technology to produce affordable, high performance, energy efficient lighting, custom graphic products, and LED Smartvision Billboards that bring value to our customers. We have a vast offering of innovative solutions for virtually any lighting, graphics or video board application. Further, we can provide design support, engineering, installation and project management for custom graphics rollout programs for today’s retail environment. Ready to help you drive ticket sales and attendance, Modern is your trusted direct marketing leader. Our full-service direct mail solutions are easily integrated with digital and mobile programs, and every client partners one-on-one with a direct marketing specialist from start to finish. Your campaigns will be managed by our team of over 150 direct mail fanatics from our 75,000 square foot headquarters. Put our 20 years of experience to the test, and see how we can help your marketing and sales groups drive more fans to games. Stop by Booth #156 to meet our team of experts! Need to drive premium or luxury seat sales? Ask about GratzieCard. Equip your sales group with GratzieCard to help them close premium and luxury seat buyers. Upload your team's action shots and winning game moments and send customized, branded, physical cards to wow high-level prospects. Improve your sales follow-up and prospecting game beyond deletable email and voicemail. Visit gratziecard.com or call Dave Brennan at 760-692-3380. As the only trade association for the sports tourism industry, the NASC is the most trusted resource for sports commissions, sports tourism organizations, and sports event owners. Since 1992, the NASC has delivered quality education, certification, and business development opportunities to more than 650 member organizations. The NASC also establishes industry standards and best practices. nSixty Interactive Marketing, is a full service experiential marketing and creative services company that creates fun, fully branded interactive experiences for customers and fans to share through social media networks. We have a wide range of experience generating results for our clients. Clients such as BMW (MINI), GM, Jeep, P&G, NFL Super Bowl Committee, Sports Illustrated, Indianapolis Colts, Minnesota Vikings, MLB, Minnesota Twins, Cincinnati Reds, Seattle Mariners, Oakland A’s, Cleveland Cavaliers, Indiana Pacers, Columbus Bluejackets, The Ohio State University, Charlotte Motor Speedway, Huntington Bank, Paramount Pictures, FOX, Target, Caterpillar, and many more. Our team works hand-in-hand with our clients to create a more meaningful, lasting, personalized fan experience. Our patented technology, that allows for entrance into the fan’s social media networks offers unparalleled data capture opportunities and is the ultimate “Game Changer”. Our patented green screen technology and ability to introduce corporate partners to a client’s social media network have been the keys to our growth as a trusted partner in the professional sports market. The Fan Experience and back end data that we can deliver directly to a targeted demographic, will take your brand, or that of your corporate partners, to new heights. Our continued and proven ability to maximize return on investment for our clients and their corporate sponsors, with our social media exposure, data mining and brand enhancement tools, make us one of the top interactive marketing companies in the nation. Visit us at BOOTH #146 to find out more about how nSixty can take your business to new heights. Providing integrated solutions for all your communications needs. Built upon the preeminent on-campus Master of Sports Administration program, the Department of Sports Administration in the College of Business at Ohio University launched the Professional Master of Sports Administration (Professional MSA) program in the fall of 2010. Delivered in 21 months via a blended format (online learning plus three residencies), the Professional MSA program is designed specifically for practicing sport professionals who intend to further their academic studies while keeping their full-time jobs. During the program, students will interact with the full-time on-campus MSA students by collaborating on projects, during residency sessions, and attending symposiums. The graduates of this program will receive the Master of Sports Administration degree. Admission to the program is highly selective with only 25 students admitted each year. For specific admission requirements, please call the Ohio University Center for Sports Administration at (740) 593-4666 or visit www.sportsad.ohio.edu. Omaha Steaks® is a family-owned company that markets and distributes a wide variety of the finest quality USDA-approved, grain-fed beef and other gourmet foods. The Omaha Steaks B2B division specializes in helping sports teams and related companies run successful motivation, promotion and gift programs. Our programs can be designed to fit every budget. All products are also backed by a 100% satisfaction guarantee. Our programs include direct shipments to the recipient’s home, bulk shipments for on-site events and gourmet certificates which allow the recipient to choose their gift. We can even customize a program to meet your specific promotional, incentive or gifting needs. Options for team & company logos are also available. Whether it’s a gift for suite & season ticket holders, an in-game promotion, Holiday Gift or even just the perfect Thank-You, look no further than Omaha Steaks. Contact the B2B division today! The Open Air Photobooth has proven successful for sports marketing, sales and entertainment executives in their promotional / branding campaigns… it’s time to see it for yourself! During the National Sports Forum you will be able to experience and place orders for the industry leading, ultra-portable event style photobooth. The Open Air Photobooth produces professional quality, personalized, and branded keepsakes which your fans will cherish for a lifetime! Please visit our exhibit space to experience the fun and learn how the Open Air Photobooth can integrate with your social media marketing efforts to grow the awareness of your team / league. Parametric builds a powerful technology platform that bridges the gap between operations and guest experiences. Our CheckMate and SuiteMate tablets were designed alongside stadium operators to blend seamlessly with existing operations and simultaneously enhance the guest experience. Actions taken on SuiteMate are immediately sent in an alert to the corresponding CheckMate tablet so attendants can be connected to guests, even when they aren’t next to them. At Parametric we are builders - we build software, we build interfaces, and we build relationships. Stop by our booth at the 2015 National Sports Forum to learn more about what we are working on and how we can work together to revolutionize the premium market. Microsoft Dynamics CRM and pavliks.com - a Winning Combination! pavliks.com knows sports. We implement and customize Microsoft Dynamics CRM for Professional Sports Teams, Players' Associations and Agencies. From custom Dynamics CRM solutions built for the Miami Dolphins, National Hockey League Players' Association and Newport Sports, to ArchTics Ticket Integration and CRM Upgrades for the New Orleans Pelicans - we have Dynamics CRM for Professional Sports covered! PermaCard® offers a complete line of innovative brand activation, sponsorship marketing solutions, and promotional items specifically designed for professional and collegiate teams. With our PermaCard® products, we deliver personalized laminated applications for teams and sponsors to engage with their audience. Whether you’re looking for a unique in-stadium giveaway or a personalized mail piece to touch your season ticket holders and fan base, we’re confident we have a solution to fit your needs. Pioneer POS Inc. designs and manufactures a complete line of industry specific All-in-one touchscreen computers. Founded in California in1994, Pioneer POS manufactures its solutions in the USA which are deployed in Healthcare, Retail, Hospitality, and Gaming applications. Pioneer POS has built an exceptional reputation with its reseller partners for superior flexibility and responsiveness to customer needs including short lead times, long product life cycles (minimum of 5 years), easy customization, and quick turnaround. R.S. Owens is the world’s premier manufacturer of prestigious awards. We have been manufacturing awards for nearly every distinguished event for the past 77 years! With a reputation for quality American-made products and a firm commitment to creativity and craftsmanship, R.S. Owens has grown into the largest manufacturer of premier awards in the world. The Oscar®, Emmy, Telly, American Idol, CinemaCon, Cotton Bowl, Sugar Bowl, NASCAR Pepsi Max 400, Phil Simms All-Iron Award, Indy Grand Prix and the Rock & Roll Hall of Fame Awards highlight the expansive list of honors produced by R.S. Owens. R.S.Owens invites you to support American manufacturing and explore the design talent and artisan craftsmanship that goes into every product we create. In addition to metal casting, electroplating and metal finishing, we are experts in metal and glass fabrication, art glass, resin casting of all kinds, crystal and glass, acrylic and wood, as well as unique combinations of all materials. Let R.S. Owens design your next award. Our quality and service is unsurpassed and our design team can turn any dream into breathtaking reality. Red Minnow Interactive, LLC is a leader in custom sports-themed touchscreen kiosk applications and has created captivating interactive applications for college athletic programs including the University of Arizona, Iowa State University, and Penn State University. RMI combines rich graphics, subtle animations, and high-energy transitions to create these engaging and exciting user experiences. We work closely with our clients from initial concepts to the final application to provide the exact experience they are looking for. We are also partnered with some of the premiere environmental graphics companies to completely brand and renovate a facility or space with a multi-dimensional custom atmosphere to showcase your program. From single, stand-alone interactive kiosks to a complete environmental branding of a facility or space, RMI can help you create a must-see destination to engage, immerse and interact with your audience. Rozzi Inc/Rozzi’s Famous Fireworks is Cincinnati’s Premier Fireworks Display Company producing hundreds of shows per year for the Greater Cincinnati Area. Rozzi’s Famous Fireworks is proud to say we have been producing Fireworks shows for the Cincinnati Reds for well over 75 years. In addition to designing pyromusicals our design staff can also produce an individual soundtrack to make your show unique. Rozzi’s has over 400 pyrotechnicians, a 100 acre distribution facility, top rated firing equipment and a full service in house staff to handle all of your needs. RAD (Retail Application Deployment) Systems uses cutting edge, proprietary technology to deploy digital content at physical locations, merging the barrier between smart technology and retail business. scan4beer.com allows customers to easily scan a mobile barcode fixed to their gold cart, stadium seat, beach chair or bowling lane with their smart phone for instant service. based products. Séura continues to chart a path for its products to new and unexplored territory. For more information about Séura, please call toll-free (800) 957-3872 or visit seura.com. Silverpop, an IBM Company, is a cloud-based digital marketing provider that offers email marketing and lead management solutions. Silverpop Engage uses customer data and individual behaviors, collected from a variety of sources, to inform and drive personalized interactions in real time. By providing deep, behavior-based customer insights and an intuitive engagement engine, Silverpop reduces the complexity of omnichannel marketing and enables exceptional experiences for customers across the entire buyer journey. As part of IBM’s ExperienceOne integrated portfolio, Silverpop will help convert prospects into loyal customers through more relevant one-to-one interactions. Silverpop is trusted by more than 5,000 brands around the globe. For more information visit silverpop.com. Sportsdigita is an interactive sports agency that specializes in digital sponsorship, ticketing and fan engagement products for professional sports teams. Comprised of former sports executives, we have the proven expertise to help sports organizations succeed in the Internet age. Stadium One is the only software that manages all aspects of venue operations and captures all revenue streams. Stadium One is a cloud-based platform that brings together all concessions, ticketing, merchandise, CRM, marketing, employee management and complete revenue reporting and business analytics all in real-time. It is the most dynamic, sophisticated, business intuitive, sports management software solution in the market today. Its unique design contains specific innovative functionality that enables a sports team to reach new levels to change, control, and monitor the entire operation. We offer a loaded ticket program, an in-seat ordering program, a loyalty point program for fans and employees and back screen point of sale revenue sharing opportunities. We specialize in showing our customers how Stadium One can increase revenues, reduce expenses and bring fans back to their venues. For over 20 years Studio Vertu has produced the first and the finest tumbled marble giftware. Our product line includes coasters, magnets, trivets, ornaments and hooks. Our robust collection of images includes Major League Baseball™ and exclusive designs from over 10 artists. Custom work is our specialty. The Aspire Group is a global sports and entertainment firm founded by Dr. Bernie Mullin that partners with its clients to maximize revenue, people, organizational performance and opportunities. The Aspire Group’s more than 200 full-time employees service sports properties in the USA, Canada, UK and Australia, by providing ongoing strategic and implementation support in executing and maintaining highly innovative sales, marketing, management, and operational systems and programs. The Aspire Group has become the leader in revenue enhancement with over 38 collegiate and 39 professional properties partnering with Aspire. This is best embodied in The Aspire Group’s fastest growing division, Fan Relationship Management. The Jeffrey S. Moorad Center for the Study of Sports Law, Villanova University School of Law’s Master Certificate in Business and Law of Sports, a three-course program including Business and Legal Aspects of Professional Sports, Mastering Representation and Regulation, and Advanced Topics in Sports Business and Management, will help you build your professional competencies and hone the skills you need to meet any challenge an organization within the sports industry throws at you. But more importantly, whether you are in professional or amateur organizations, it will prime you for the advancement opportunities you deserve because these topics are integral to many areas of business in the sports industry. Whether you are new to the industry, or are looking to build your knowledge of key sports topics, this 100% online Master Certificate in Business and Law of Sports brings you this information via our respected industry experts, who offer you an “inside look” at what is important in the industry, and what you cannot afford to miss. The Master Certificate in Business and Law of Sports is open to all professionals in the sports industry, or those looking to enter or transition into the field. This program provides important training for those who want to advance, and stand apart from others within a professional or collegiate sports league, association or agency, sports law office, or other organizations connected to the industry. Our other Villanova University Online certificate programs build important business knowledge in areas such as Project Management, Contact Management, Leadership, and more. Vision Integrated Graphics Group, LLC is a full service marketing solutions provider specializing in digital, conventional and large-format print, cross media marketing, direct-mail promotion, strategy and technology. We are recognized as a leading national producer of large-format graphics for event, facility, mobile marketing and retail environments to clients in professional, collegiate and amateur sports. Vision has been a proud provider to top sports and marketing organizations including; the NFL, NBA, MLB, NHL, Feld Entertainment, Feld Motorsports, ESPN, PGA, NCAA, MLS, Nike, Intersport, IRL, NHRA, Monster Energy, Disney and the ATP Tour. Our services include design, print production, custom display creation and assembly, multiple point distribution and shipment tracking, on-site project management, delivery and installation. We are committed to excellence. That is why we invest in great people- knowledgeable, customer-focused and responsive—who are trained for today’s problems and tomorrow’s solutions. We establish an effective work environment that fosters creative thinking and pride in work. Sporting & entertainment venues represent some of the most challenging environments anywhere to deploy wireless service. Xirrus provides a flexible range of innovative Wi-Fi solutions designed specifically to support the high-density, high traffic demands in these venues. This infrastructure is then coupled to a robust service layer used to deliver revenue-generating services though attendee/fan engagement. High-density wireless environments, characterized by heavy smartphone, tablet and laptop use, can conventional or poorly designed wireless networks beyond their limits, resulting in a negative attendee or fan experience. This is especially true at live sporting events, colleges and conventions where thousands of users may be trying to access the wireless network simultaneously. Xirrus wireless solutions provide the ultimate in scale to address these high-density wireless networking challenge. The result is wireless service that works, that is matched to the environment, that reduces TCO due to reduced equipment requirements, and that provides longer product lifespan. Yopine is a two-flavor polling platform that engages audiences with simple, beautiful & graphical questions. It is quick, easy & fun to create & to respond to Yopine polls & brainstorms. Sports organizations, media outlets & marketers can add audience-engaging polls, on any imaginable topic or issue, to any digital property they wish. Our customers derive value from their ability to provide fun widgets that increase visitor/viewer/fan engagement & retention. Yopine…every voice counts.